Dr. Lynette Berven’s family line is rich in chiropractic history. Her grandmother was on the cusp of chiropractic’s foundation, having graduated from Universal Chiropractic College just 23 years after the profession was born. Dr. Berven continued this legacy by attending Western States Chiropractic College, graduating in 1984. She joined the Tampa community in 1996 after practicing in Australia and Vancouver, Washington and opened Berven Chiropractic in 2011. 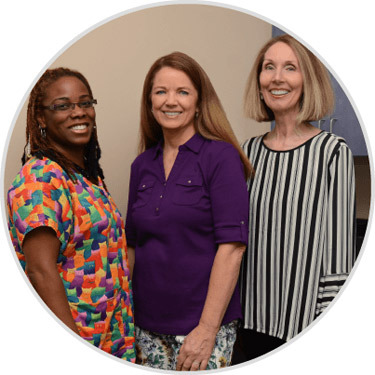 Dr. Berven enjoys seeing patients from all over the area including Odessa, Westchase, Citrus Park, and Carrollwood. We’re a family practice, which means we welcome all ages of people. We see babies and children all the way to those in their 90s. Dr. Berven understands the forms of stress that a family faces in their everyday life. The nerve irritation and resulting pain caused by this stress make it difficult to focus on the things that are most important in life. As a chiropractor, Dr. Berven releases muscle tension and helps your body regain a more balanced and relaxed state. You don’t, however, need to be experiencing discomfort to benefit from chiropractic care. It restores your function so that you can operate at your optimum potential, no matter what your current state of health may be. A recent success involved a patient with numbness and tingling in the hands. He was told by the doctors that he would simply have to live with it. After three visits with Dr. Berven, it was gone. Chiropractic care can keep you well for years to come, too. Our oldest patient is 93 years young and recently drove from Florida to the Midwest to visit friends and stays well with the help of chiropractic. Another patient was able to cancel the surgery he had scheduled and was feeling better within three appointments. Are you in need of immediate attention? We offer same-day appointments. Contact our chiropractic office today!